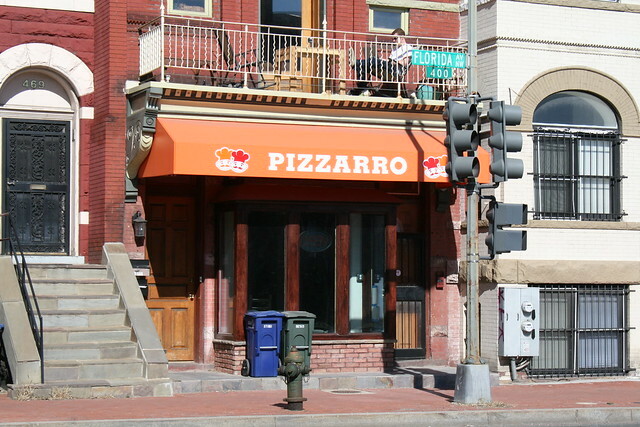 Will Florida Avenue become the next U Street? We mention this not to alarm anyone, but to educate residents about the influence of zoning ordinances. Zoning is the invisible geography that quietly shapes the use and form of the built environment. The north-side rowhouses on the 400, 500, and 600 blocks of Florida Avenue were clearly built as homes. About 100 years ago, many of these rowhouses hosted the offices of Washington’s prominent black doctors. Neighborhoods change and businesses move and nearly all the rowhouses on our stretch of Florida Avenue reverted to their original uses as residences. Even the notable Harrison’s Cafe at 455 Florida Avenue is a residence with much of its former retail bay window bricked in. A few businesses still dot Florida Avenue. While Shaw’s Tavern and Bistro Bohem are reviving the corner of Florida Avenue and 6th Street, they occupy buildings that are clearly commercial in form. 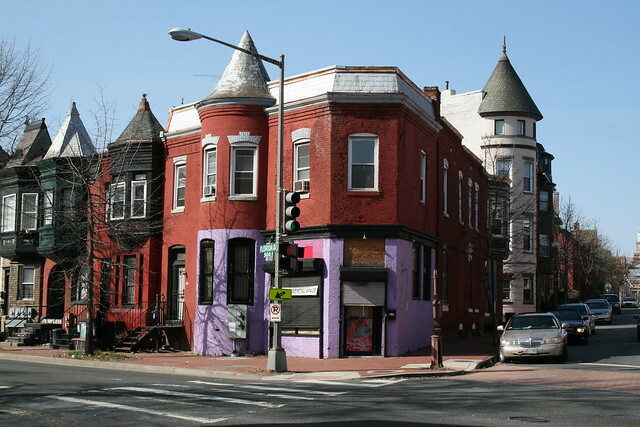 Thai X-ing, however, has been located for several years in and old rowhouse at 515 Florida Avenue NW. Though it looks like an abberation, Thai X-ing may just be ahead of its time. office employment centers, shopping centers, medium-bulk mixed use centers, and housing to a maximum lot occupancy of 60% for residential use and 100% for all other uses, a maximum FAR of 2.5 for residential use and 1.5 FAR for other permitted uses, and a maximum height of fifty (50) feet. Rear yard requirements are fifteen (15) feet; one family detached dwellings and one family semi-detached dwellings side yard requirements are eight (8) feet. There is no need to worry about an old rowhhouse being torn down and turned into office blocks. First, the houses along the LeDroit Park side of Florida Avenue are within the historic district. Historic preservation laws prevent drastic alterations, especially alterations to such an cohesive section of architecture. Second, the C-2-A zone is a low-density zone, permitting a floor-area ratio (FAR) of only 1.5 for non-residential uses. 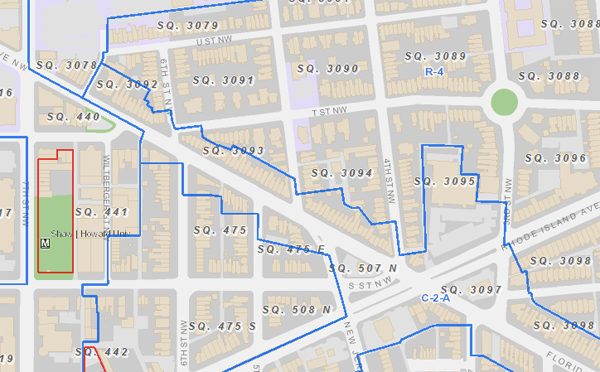 Most of the existing rowhouses already exceed 1.5 FAR since they were built before the current zoning code. The opening and success of Shaw’s Tavern and Bistro Bohem demonstrate business success along our stretch of Florida Avenue. There is clearly a demand for commercial activity near LeDroit Park and we were happy to spend Sunday afternoon revisiting Bistro Bohem. 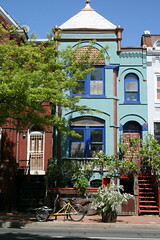 Whether this demand translates into rowhouse conversions into restaurants and bars remains to be seen. Even still, don’t be surprised if Thai X-ing gets a few restaurant, pub, cafe, or boutique neighbors in the coming years. * Though one may open a restaurant without special approval in a commercial zone, a restaurateur must still follow the usual process for obtaining a license to serve alcohol. With the opening of Bistro Bohem, the corner of Florida Avenue and 6th Street is turning into a tiny culinary colony along Florida Avenue. 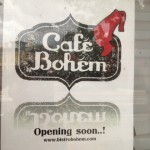 Bohem’s popularity scuttled our plans for our first visit. It was 9 pm and we walked over looking to try it out. It was packed and there was a waiting list for both the tables and for the bar. All this on a Tuesday night! After just a few weeks of operation, though, the restaurant is expanding into the old retail space that contained Zee’s, the Trinidadian restaurant that only lasted a few months. 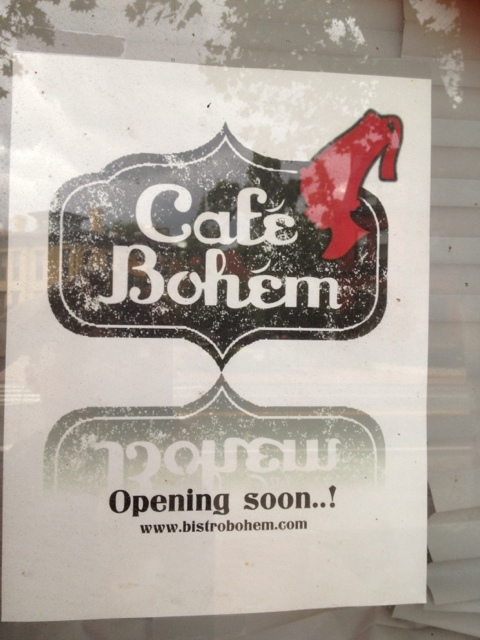 A sign on the window christens the space “Café Bohém”. 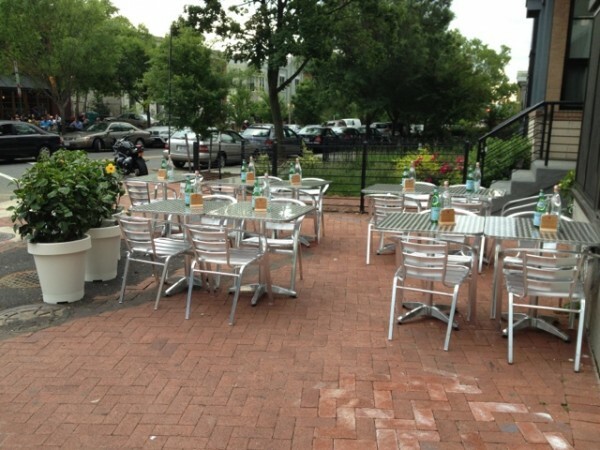 On the 6th Street front, Bohem has added much-needed outdoor seating. We can imagine sitting there, sipping Bohem’s signature Bohemian margarita and watching the passersby. Many LeDroit Park and Bloomingdale residents walk by this intersection on their way to and from the Metro. On our visit, we spotted several neighbors returning from work. 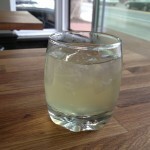 The Bohemian margarita, by the way, was the best item we enjoyed on our recent visit to the restaurant. 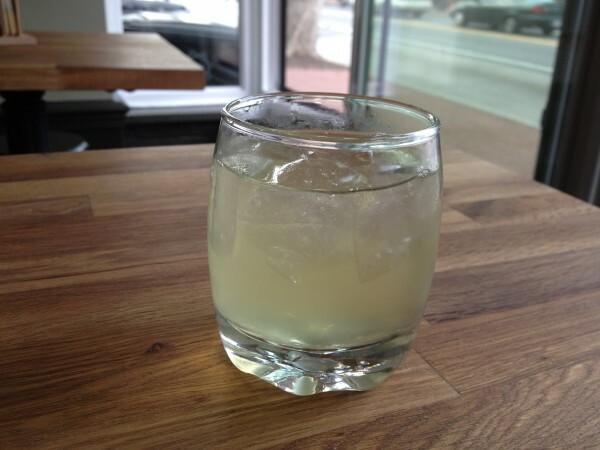 It’s not nearly as sweet as a regular margarita and benefits from the distinct taste of gin. While the drink was noteworthy, the food needed some work. It wasn’t bad, but it wasn’t amazing either. Bohem offers a variety of “small plates” derived from the cuisine of Eastern Europe. 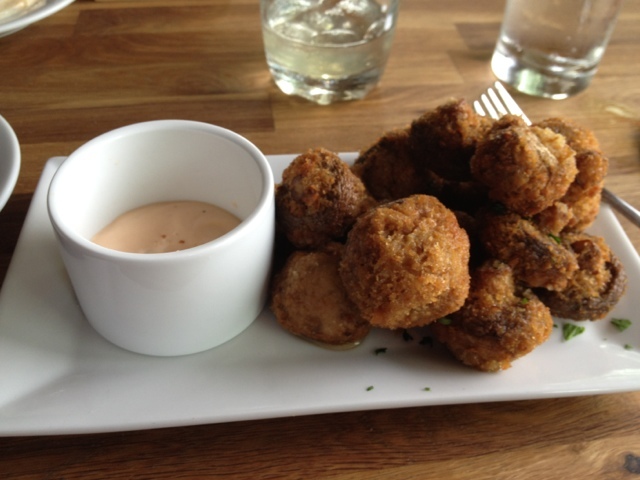 The lightly browned mushrooms were served with a delicious garlic paprika aioli, but the mushrooms themselves suffered from being, well, mushrooms. Mushrooms can be difficult to cook. They absorb water like sponges, resisting your best effort to dehydrate or saute them. Though the mushrooms were coated in breadcrumbs and fried, they were still disappointingly watery inside. A popular dish is the pierogi, a typical eastern European dumpling stuffed with a potato cheese filling. Bohem garnishes the dish with caramelized onions. 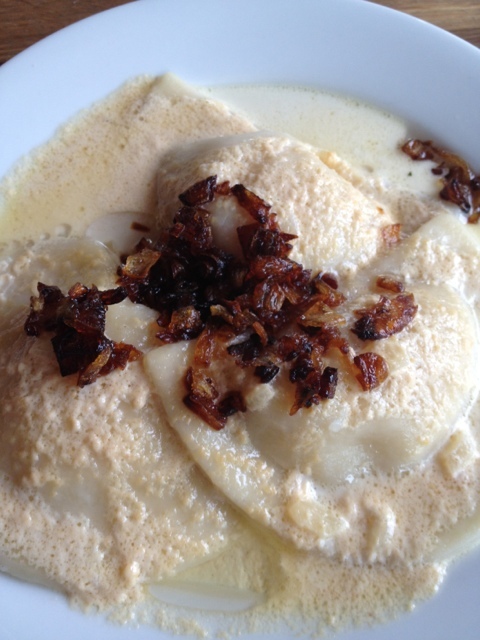 Pierogis, one of Bistro Bohem's most popular dishes. We hope it was a coincidence, but the pierogi dish contained a watery sauce, as evidenced by the photo. It’s decent, but like any pierogi dish, is simple in taste and perhaps better suited to snaking or breakfast. The caramelized onions were very… caramelized. Tom Sietsema at the Post reviewed Bohem and recommends the chicken schnitzel, which he says “races ahead of the pack.” We will certainly try it on our next visit. If you’re headed out for a serious meal, Shaw’s Tavern might be a better bet, but if you’re self-medicating the symptoms of a unpleasant job, Bistro Bohem’s drink menu will do the trick. The ides of March just got tastier here in LeDroit Park. 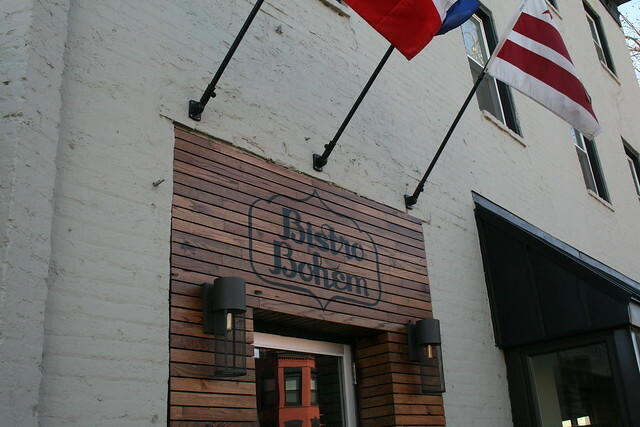 We got word that Bistro Bohem, at 600 Florida Avenue NW, will open on Thursday, March 15. They will be open daily from 5 pm to midnight and will serve brunch on weekends from 9 am to 3 pm. The Washingtonian posted a brief write-up of the place a month ago. They plan to serve Eastern European food and beer.